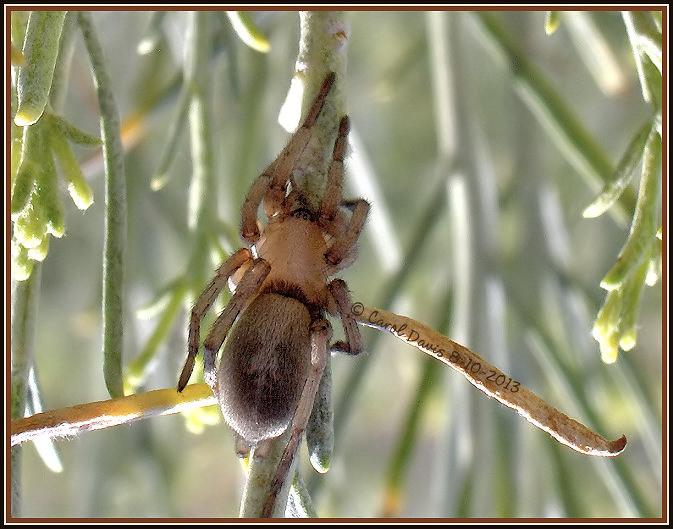 I found this ground spider on rabbitbrush on Antelope Island. It was in a shady spot and upside-down. I flipped the photo so you could see it better. This is the first of the species Herpyllus that I've ever found.